In August of 2004, "Dr. Sue" lost her battle with leukemia. The Dr. Susan Bokman Leitzan Memorial Scholarship will be awarded to two deserving Medaille College Veterinary Technology students per year. They will be awarded to upperclass students who have completed an internship, are full-time students, have significant experience, and are excelling academically. Scholarships will be presented annually by Sue's family at the fall Honors Convocation. A native of Albion, Dr. Susan Bokman Leitzan graduated from Williamsville High School and was a 1985 graduate of the State College of Veterinary medicine at Cornell University. Known to friends, colleagues and associates as "Dr. Sue," she established the Abbott Road Animal Hospital in Orchard Park in 1987. In doing so, she was the first female veterinarian in the Southtowns area to own her own practice. In addition to Dr. Leitzan's work at her practice in Orchard Park, she was a member of the American Veterinary Medical Association, the New York State Veterinary Medical Society, the Niagara Frontier Veterinary Society and the Buffalo Academy of Veterinary Medicine. Prior to earning her doctorate, she was an avid horsewoman and showed quarter horses as a youth exhibitor, earning many awards. She also served as president of the Cornell Horseman's Association. Shortly after opening her practice, Dr. Leitzan along with her husband Mark, established the Silver Screen kennel in Colden. Well-known as a breeder and owner of Australian Shepherds, she participated in American and Canadian Kennel Club conformation, obedience and agility events. She received the United State Australian Shepherd Association's Breeder Hall of Fame award in 2004 for her achievements and contributions to the breed. 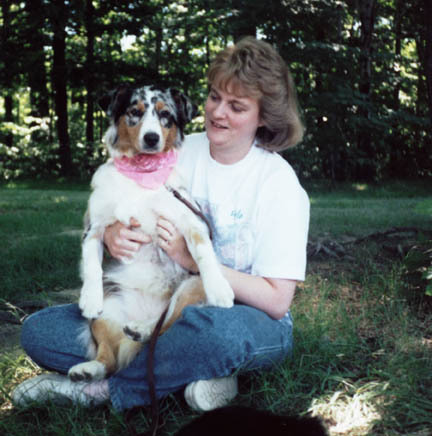 She was also a member of the Australian Shepherd Club of America, the Southtowns Working Dog Club and the Hamburg All Breed Dog Club. The Dr. Susan Bokman Leitzan Memorial Scholarship has been established to ensure that Dr. Sue's passion for animals and her commitment to the veterinary profession live on. Throughout her life, Dr. Susan Bokman Leitzan had a strong passion for two things; helping animals and the success of the Veterinary Technology Program at Medaille College. The creation of the Dr. Susan Bokman Leitzan Memorial Scholarship will ensure that these passions will continue to live on. Throughout her career, Sue's passion for the care on animals was contagious, as were vivacious spirit and the commitment to her work. As her career progressed, she remained close to Medaille and provided guidance to the faculty running the Vet-Tech Program. She provided Medaille Interns with outstanding clinical training and skill, and assured that they would make their mark in the profession, just as she did. Gifts to the Dr. Susan Bokman Leitzan Memorial Scholarship Fund will also support a memorial tree and plaque on the Medaille College Buffalo campus.